Jessica and her team helped us create our perfect day. We first connected with Jess after reading her sparkling reviews on Google. We got engaged near the holidays which is a really busy time but Jess responded right away and made time for an in person meeting between Christmas and New Years. Her promptness and professionalism was one of the things that drew us to her instantly. We were so grateful we did! Jess held our hand through the entire process. She helped us turn our vision of super modern and glamorous into reality. On the day of, Jess and her team made sure everything ran smoothly and the bride/groom/party and their families didn't have to worry about anything. The day itself went very smoothly and was the wedding of our dreams! I would recommend anyone planning their wedding to engage Jess and her team. We did full planning and it was the right call for us. We did not know the right vendors or how to engage them and how much things should cost. She was a real pro and helped us from start to finish. Thank you Jess for everything!! With 8 months left to go before our wedding, we found ourselves overwhelmed with who to choose on a few aspects of the wedding (i.e. choosing a vendor for invitations and day of stationery as well as rental companies for cutlery, plates and furniture). 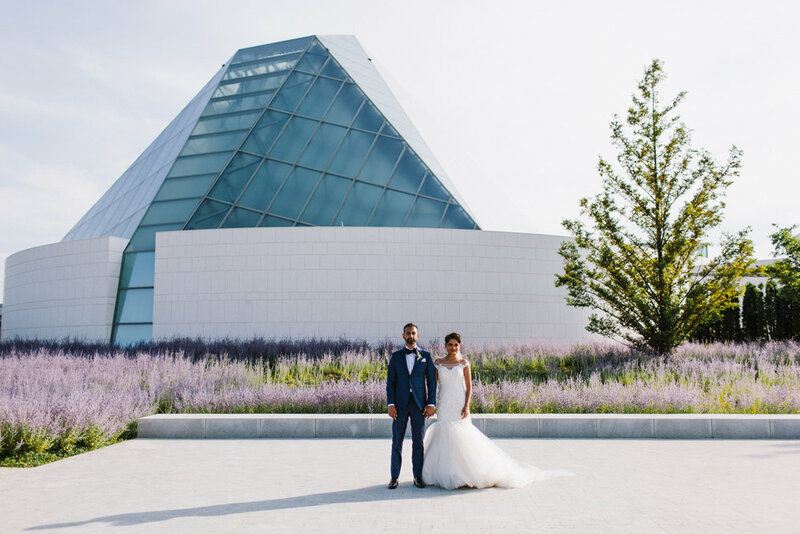 We knew that we wouldn’t need a full wedding planner as the big items were out of the way, and day of coordination was almost too little for what we felt we still needed to do. When we came across the partial wedding planning package for Bisous Events, we felt like it had exactly what we wanted! Within a week, we had a meeting with Jessica to discuss what we’d done, what we still had left to do, and how she could fill the gaps. She asked for our wedding inspiration and what we envisioned, and set us up with various vendors in a timely manner. Even in our discussions with these new vendors, Jessica was always a part of the conversations and provided her thoughts and opinions when we were unable to make a decision – she was able to see the big picture and how various aspects would work together in our venue space. On the day of the wedding and even in the couple of weeks prior, it was clear one of our best decisions (vendor wise) was choosing Jessica. She was able to coordinate the numerous vendors to ensure that the day went off without any issues. We were given a detailed wedding timeline in the days prior to the wedding, and looking back, the timeline as written was almost exactly the same as what happened on the day of. 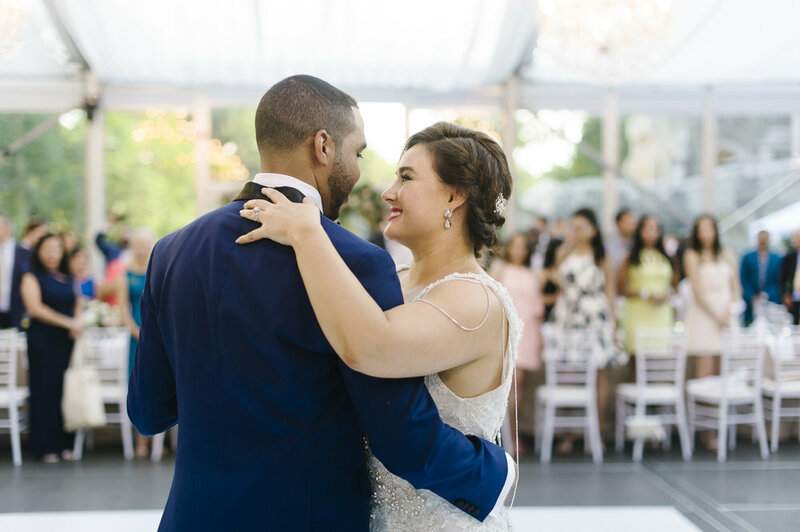 All of our guests in attendance had nothing but good things to say about our wedding day, and so much of the success can be attributed to Jessica who made sure that the wedding reflected us through and through. It should also be noted that Jessica got married herself just two weeks prior to our wedding, - how she managed to have this personal time and still handle our wedding, we’ll never know! She was able to tackle everything with a positive attitude and a smile on her face, and we would absolutely recommend Jessica. So many guests commented on how relaxed I was throughout the day, and it was because I knew everything was under control and in good hands with Jessica. Thanks again for everything Jessica, you did an amazing job!! The BEST wedding planner - look no further! What to say...Bisous Events run by Jessica the best wedding planner we could have possibly asked for. Really, truly - if you want a wedding planner, look no further - Bisous Events and Jessica are a must. We couldn’t recommend Bisous Events more highly. Before we hired Jessica, we were drowning in wedding decisions and had no idea what was good, fair or possible. We wanted to plan our wedding in six months, and it would have been literally impossible without Jessica. She recommended all our vendors and negotiated us great prices on everything. 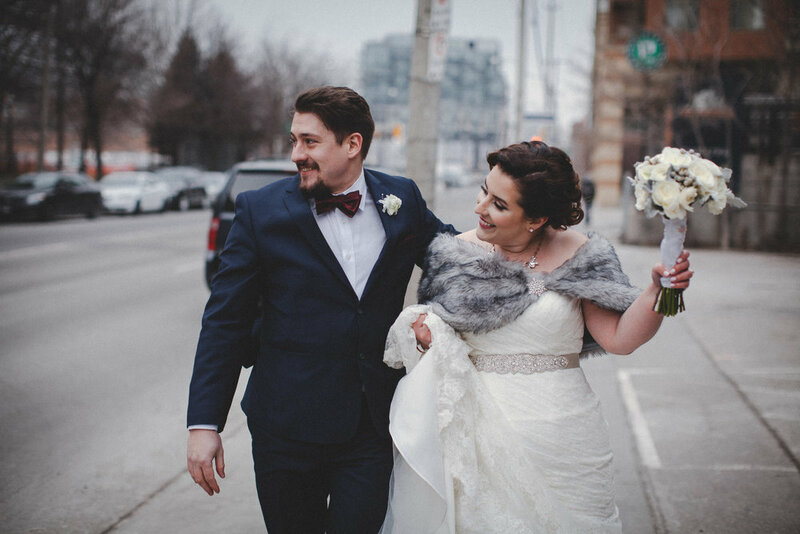 In her first week, she managed to negotiate off two thousand from the price of our venue! We were so busy with work throughout the planning process, and Jessica was so accommodating with our constant rescheduling and lateness in responding. She had everything under control the whole way. We had a demanding vision, and Jessica was patient and took the time understand what we wanted, and perfectly executed the day. Her staff onsite were a dream to work with and pulled everything off with lots of last minute demands and changes from us. We were hard to work with (sorry Jess! ), but Jessica always made us feel like everything would be okay and we trusted her taste and direction completely. If, like us, you need help navigating the thicket of the wedding industry, put yourself in Jessica’s capable hands. It was the best choice we made in planning our wedding. When planning my wedding, I had some concerns about my venue coordinator and sought out a planner to help make sure our day ran smoothly. I found Bisous Events after searching like pages on Instagram and after our initial meeting, I knew I had to have her help with our day. Jessica was amazing to work with and I felt like I was sitting and chatting with an old friend during each of our planning sessions. I actually felt bad a few times following our sessions, because I was worried that I was taking up too much of her time, as we would just continue chatting not always about wedding things. She had great ideas and suggestions, taking into account my own personal style, while making recommendations based on her experience what would look best and function best for our day. Jessica was always prompt with her responses to my questions and as I was pretty laid back kept me on a realistic timeline without being pushy. When speaking with vendors she was forceful when needed and really helped to voice my concerns, which I definitely benefited from. She organized vendors who I wouldn't have thought of using or likely would not have found. On our actual wedding day, she made sure everything ran smoothly. Before I even had time to voice a concern, she came running over to me once saying "you have a look on your face, what's wrong", which is a testament to how quickly she knew my character and personality to know without me saying anything that something was wrong. I would highly recommend Bisous Events and loved working with Jessica! It felt like my friend was at my wedding with me. I truly cannot say enough about how Jessica made our wedding a beautiful event and my vision come to light! Working with Jessica was probably one of the best decisions we made when it came to planning our wedding. 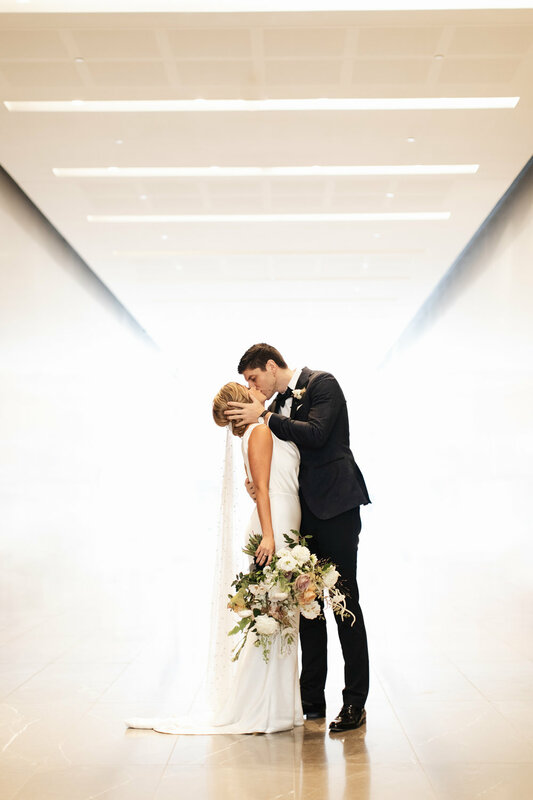 We spoke to a few planners before getting her contact information all of which focused on the negative aspects of our wedding day vision and left me feeling helpless. From the moment I spoke with Jessica she was nothing but friendly, positive and offered solutions to the issues the other planners had spoke of. Overall, she reassured me that all of our ideas should be possible and that she would get right on hunting down the best vendors within our budget. The vendors that Jessica recommended to us were also like her very pleasurable to work with and always very responsive. 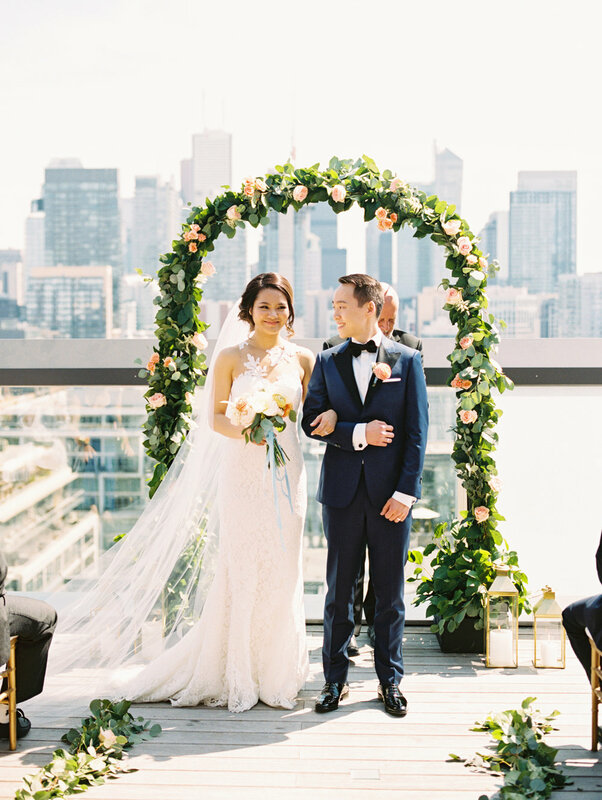 Jessica really has made some wonderful contacts in the Toronto wedding world and knew exactly which one's would work best for our overall theme. In terms of the big day, I cannot put into words properly how she transformed our reception space into our vision. It was like she was in our heads and pulled out every exact detail. She is also extremely good about coordinating with vendors for the day of and makes sure the entire day goes off without a hitch (literally there were none and that is so rare). She is extremely friendly, organized but also firm which is why I think she gets the job done and is well respected by those she has worked with. Overall, I couldn't recommend her to anyone more. If you are searching for a planner even just for day of, look no further! After interviewing a handful of planners for same-day coordination, we chose Jess without hesitation (and even upgraded our scope to partial planning). Many of the planners we met felt either too junior / old, too traditional, too by the book, or too expensive. Jess has the right mix of industry experience, maturity, and professionalism, balanced with creativity, trendiness, and a great sense of style. Working with her throughout the process was definitely like working a girlfriend with great recommendations. I am an admitted total control freak and Jess did an amazing job of letting me run in circles when needed and stepping in to guide me when she could see me faltering. 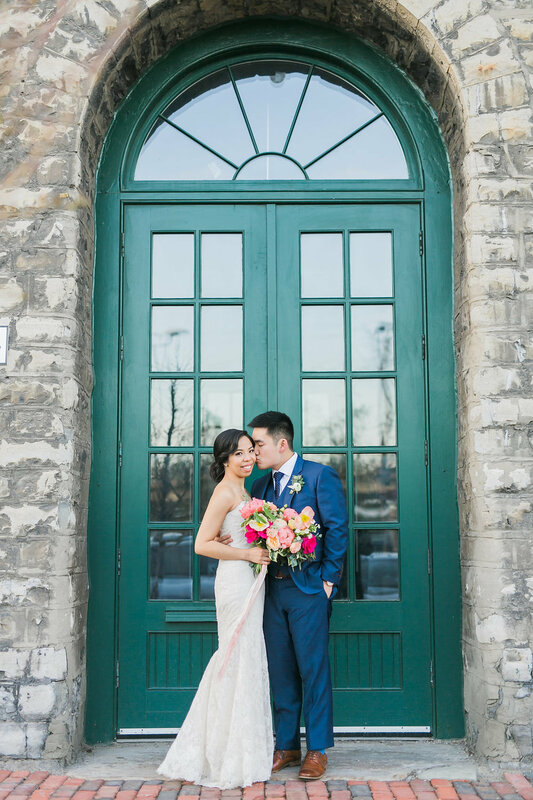 In the end, our wedding was so beautiful and exactly what I had envisioned! Thank you Jess for making our big day so perfect and special! 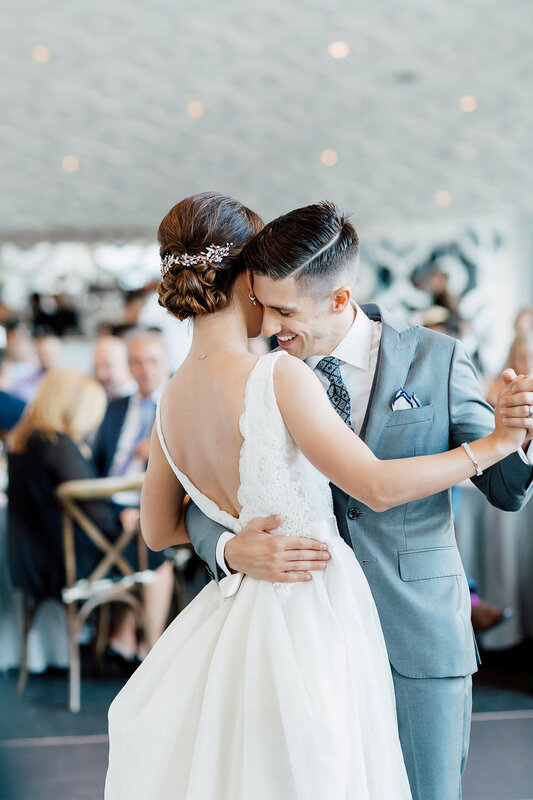 My husband and I were initially looking for a day-of-coordinator for our wedding, but the moment we met Jessica we were so drawn by her enthusiasm, passion and friendly personality that we decided to hire her for Planning instead. Throughout the planning process, Jess really took the time to get to know us as a couple and our vision for the day. She was responsive to all our emails and made the time to meet us on several occasions. She connected us with great vendors, came with us to meetings and always had great suggestions to offer. On the day of our wedding, so many people told me that I was the calmest bride they’ve ever seen (vendors included) and it was because I knew that our wedding was in very capable hands. Jess made sure everything was taken care and executed properly. I couldn’t have dreamed of a more beautiful and memorable day and we have Jess and her team to thank for making that possible. When my husband (!) and I finalized the plans for our wedding, we knew we cared about a seamless wedding, with personal touches, that we also personally could enjoy with our guests. We weren't sure we needed a wedding coordinator, but thank heavens we got one! Jessica from Bisous was a pleasure to work with. 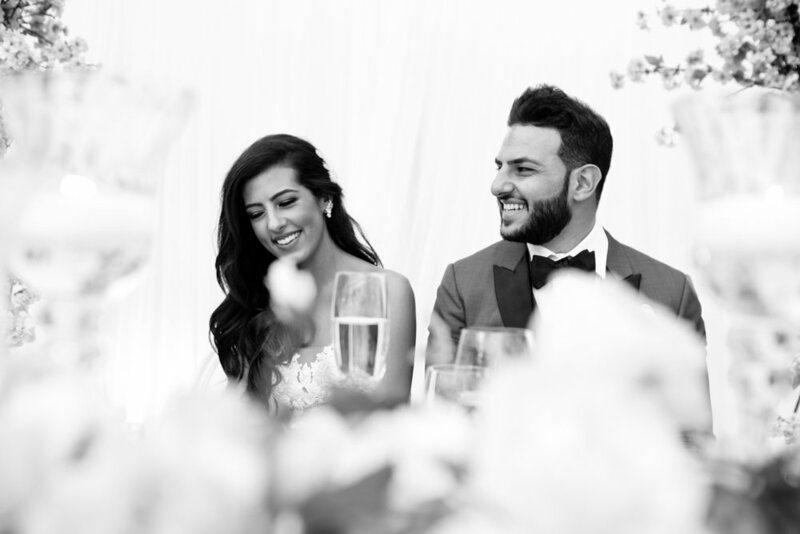 She is so organized and well versed in the Toronto wedding industry, that we immediately knew we had made the right decision. She offered great suggestions around our wedding and vision, while never losing sight of what we as a couple wanted. We had a few meetings with her, in her studio and at our venue, which was extremely helpful and again put us at ease. 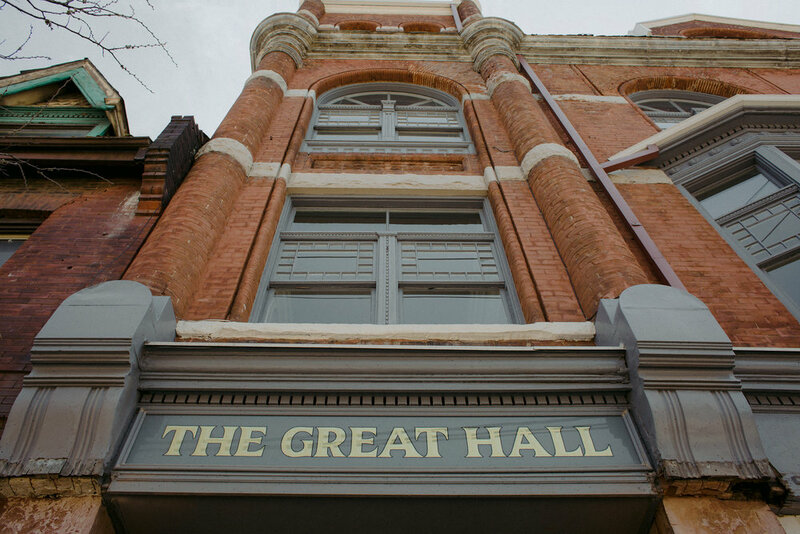 We got married at the great hall, which being a somewhat non-traditional venue, had many unique things to consider. She considered aspects of the day we haven't even thought of, created a great schedule and also liaised consistently with all our vendors, to make the day run so smoothly. I actually can't praise her enough for how seamless and smooth everything went all day - we got to enjoy time with our guests without ever worrying about something getting done, because Jessica was already on top of it. For a couple who literally tried to DIY most things, she also was so so helpful at setting up our venue with our vision and literally took our ideas to the next level, making everything look absolutely amazing. We got so many compliments on how beautiful our tables looked and how laid back the event felt. If you're not sure about whether you need a coordinator, I encourage you to chat with Jessica and consider getting one. Because we're hopefully only going to have one wedding there were tons of things that we didn't know anything about, and her expertise and advice went a long way!!! She honestly made our day, and our guests day, so much more enjoyable! Jessica was a great help through the gruelling wedding planning process and made it all easier. We enjoyed our meetings with her- which felt like hanging out with an informed friend who happens to be in the business. She gave us great advice, mediated when things got a bit heated between us, and found the perfect balance for our ideas to work in harmony. She brought our vision to life. On the day of, we didn’t have to worry about anything. The team of vendors she put together were all stellar and executed our combined vision flawlessly. Jessica and Hillary took care of every little detail as we mingled and danced the night away with our family and friends. We met with Jessica based on a recommendation and we are so glad that we did! We ended up deciding on the full planning package as it became clear to us that we were no experts in planning a wedding, but Jessica was. She was with us every step of the way to help us plan and coordinate our perfect day, which it turned out to be. Our goal for our wedding day was to enjoy the day with our family and friends and having Jessica as our planner allowed us to do so fully. She had a true understanding of what we wanted our wedding day to be like. 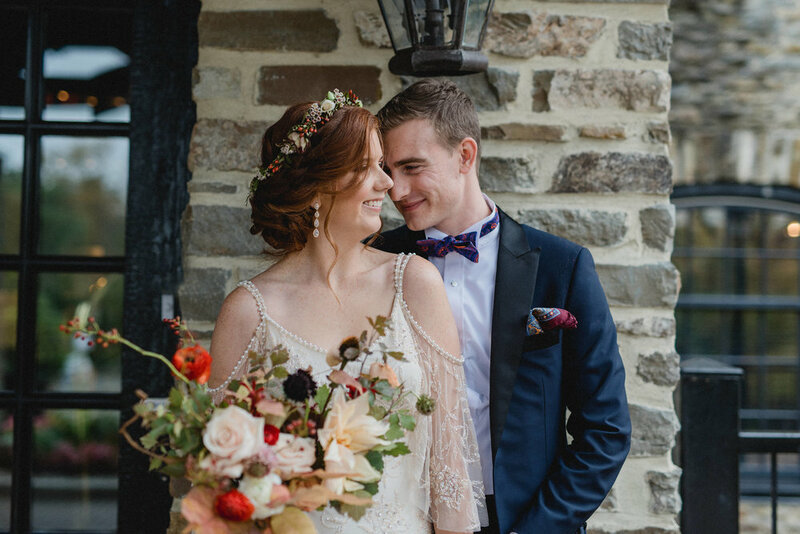 Her sense of décor and styling is amazing, and our wedding looked better than we could have imagined. Jessica was helpful in coordinating our vision for our day and finding us the best vendors (and within our budget!). Many people even came up to us to compliment how organized our wedding planner was, especially in the days leading up to our wedding. Thanks to her hard work our day went off without a hitch. Hiring Jessica as our wedding planner was the best money we spent on our wedding! 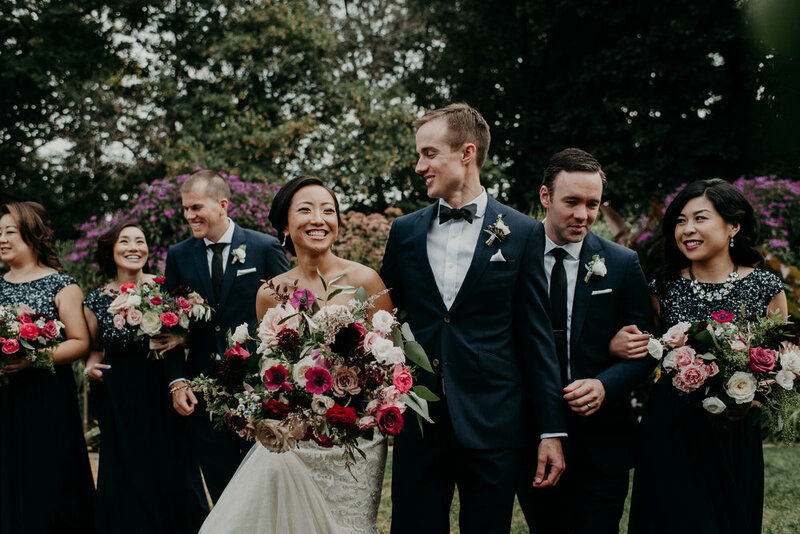 We waited until a month or two before the wedding to decide on a day-of-coordinator and hiring Jessica was one decision we never looked back on. Jessica and I hit it off the moment we met - she is friendly yet professional, has a great sense of style, and really tries to get to know you and your vision for the big day. She went through all our plans and ideas to ensure she understood what we expected on the wedding day and I liked that she made suggestions for not only logistics, but also little decor ideas that I missed or didn't even think of. She also wasn't afraid to voice her opinion on her experiences, as she wants only the best for your big day. She is very passionate about what she does and you can see it through her work ethic and overall attitude when corresponding with her. I had no problem relying on her to get things done and she was super responsive throughout the entire process. As the previous reviewer mentioned - it really felt like Jessica was a friend at my wedding and not just a planner. Thanks so much for all your hard work! We were recommended Bisous events by our photographer. Once I checked out the website I was pleased to see they offered partial panning. Bisous Instagram was magical and portrayed beautifully executed events. I was nervous planning a wedding in only 6 months especially when I did not exactly know what I wanted. Jessica truly gave vision for the design of our wedding. I could not of imagined it any other way. She knew what I wanted before I even knew what I wanted. When the day arrived I was not stressed, nor worried about any of the details. I fully trusted Jessica and her team. And, I certainly was not wrong too. As I walked into our ceremony and reception I was blown away by how everything looked. It was truly breathtaking. All details flawless. During the planning process Jessica was easy to talk to, she gave excellent creative direction, and was always detail oriented. Anyone who has the pleasure to work with Jessica is in great hands. She will ensure your dreams come true and make the process fun along the way. She has amazing talents! Shortly after our engagement, my fiance and I both knew a wedding planner was definitely a must we will not go without hiring a professional. I found Jessica simply after doing some research online getting in touch was so effortless we met in person when we both flew home (we reside in Alberta but originally from Toronto). The partial planning option was a great choice because overall we knew what we liked and needed help with mainly decor etc. Jessica was always there for any questions no matter how big or small. She went above and beyond for us, on the day of despite the little things we had a great time. The attention to detail was incredible I cannot say enough how great of a day it truly was. Thank you to Bisous Events and Jessica! 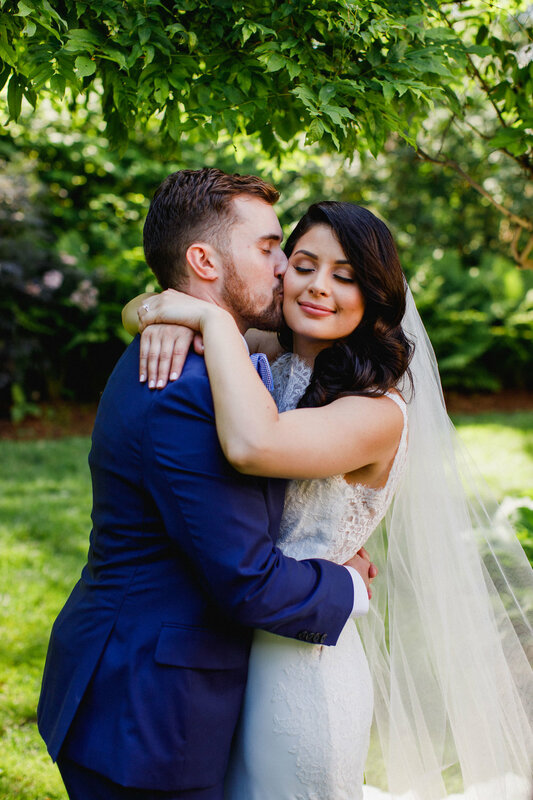 Jessica from Bisous Events helped me plan my wedding this past July and I could not be happier with the quality of service I received from her and her team. The day of the wedding was executed perfectly and all of the planning leading up to it was enjoyable with the help of Jessica. She is obviously very passionate about what she does and it shows in her work. Her organizational skills as well as her great sense of style made planning my wedding with her a great experience. Jessica planned our 90+ person wedding in Aug 2018. We had a quick time-line (planned in 7 months), and hired her midway through. We were very happy with her services! She is professional, organized and most of all has a really great sense of style while still bringing together what you envision for your big day. We hired a wedding planner to ease the stress and save us some time, and she definitely did this for us and then some. Would recommend! J & L.
We hired Jessica as one of our same day wedding coordinators. We had a large wedding and I wanted someone that would be with me, and my bridesmaids, to make sure everything ran smoothly leading to the reception. Jessica was the perfect choice and executed our vision flawlessly. Jessica went above and beyond what we could have ever expected from her. Jessica attended our rehearsal dinner to get to know our bridal party, contacted every single one of our vendors to make sure everyone was on the same page, and maintained complete poise and composure ensuring that everyone was where they needed to be on the day of. Jessica’s passion shines through her exceptional work. Jessica is a true professional; she is punctual, prepared and completely on point. Our day ran on schedule down to the minute, which speaks entirely to Jessica’s ability as there were 500 guests and a bridal party of 30 people. Jessica just knows how to get the job done; she is somehow everywhere and is able to take control in an unassuming manner. We would highly recommend Jessica to anyone looking for help in planning their wedding and executing their vision.